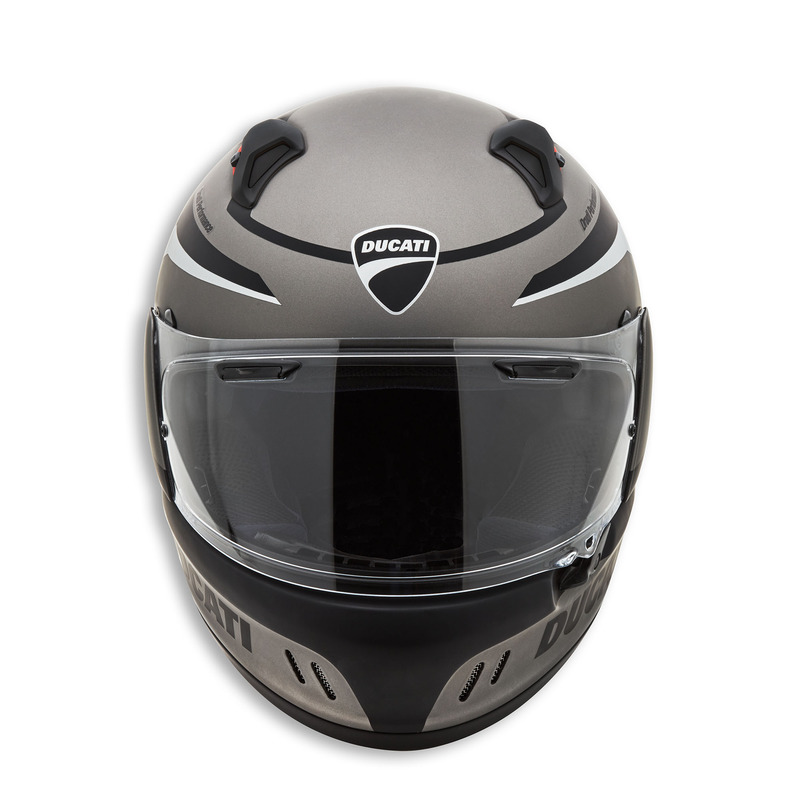 The Black Steel helmet, based on the Arai Renegade V model, was developed for use on naked bikes with an upright riding position. The outer shell is made of SFL fiber while the inner shell is made of EPS with differentiated density. 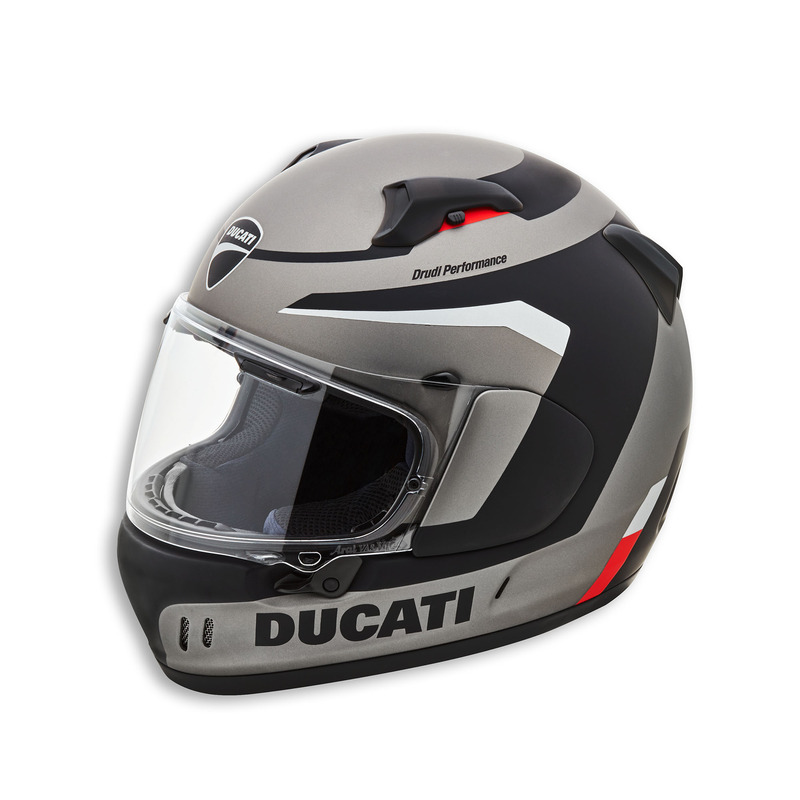 The interior in antibacterial and washable fabric, the VAS visor with a wide field of view, and a high performance ventilation system able to circulate about 14 liters of air per minute inside the shell combine to make the helmet very comfortable and safe. All in perfect Ducati style thanks to the sophisticated design made exclusively by Drudi Performance. 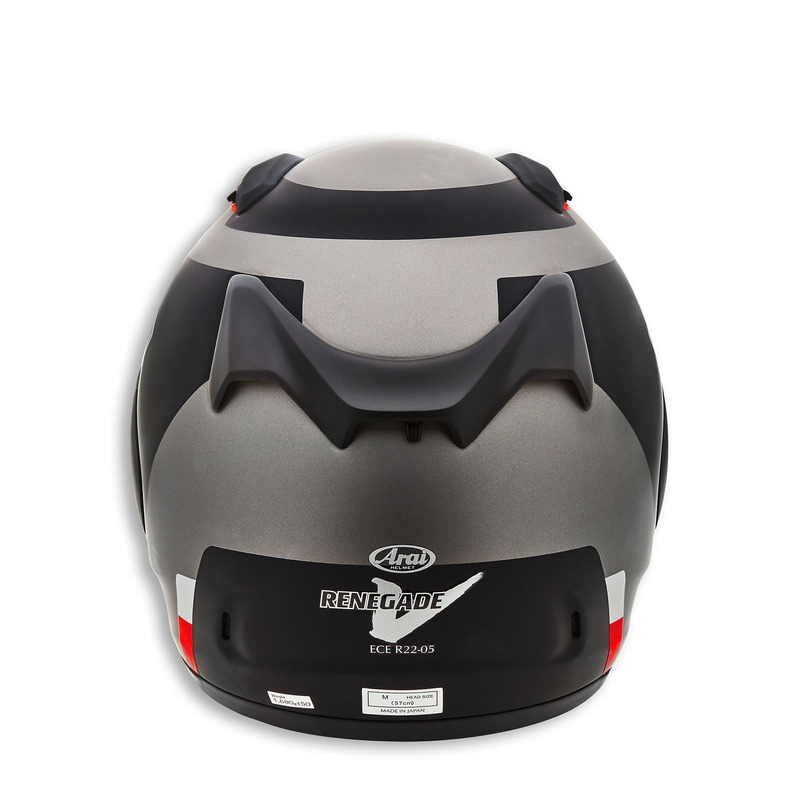 The four front intake slots, combined with the four side exhaust slots create a highly effective internal air flow, make the helmet very comfortable. The key to this high performance are the side ducts that remove hot air from the inside, which are connected directly to the interior via high performance air channels. The helmet comes with a clear visor. Visors in other colors must be ordered separately. Reference model: ARAI - ECE Renegade-V; USA Defiant-X; JAP XD.